Fig. 2. Histopathologic finding. 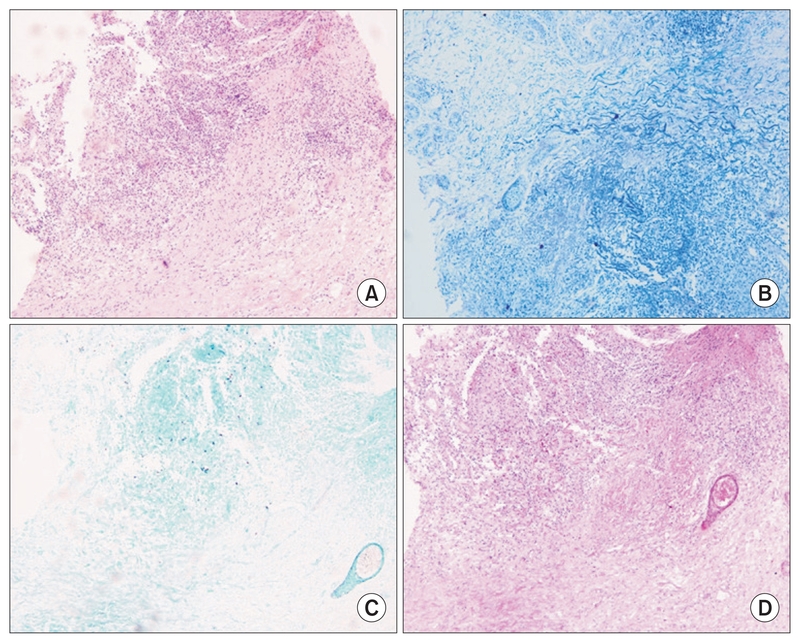 (A) Numerous neutrophil and lymphocytic infiltrations, which were consistent with abscess (H&E, ×100), (B–D) Nonspecific findings on immunohistochemical stain (B: acid-fast bacilli, ×100; C: Gomori methenamine silver, ×100; D: periodic acid-Schiff, ×100).